The Hammersmith Community Development Project was an experiment to create a system in order for residents to solve poverty and social problems particular to urban areas by active participation. As a result of this project the Grove Neighbourhood Centre still continues to be active in the neighbourhood today. Mason, the Project Director, was the leading figure who persuaded the Hammersmith and Fulham Borough to create a cooperative relationship, and directly explained the idea of a community development project to residents. He promoted residents�f involvement. For me, he is a historical figure who appears in the documents of the Hammersmith Community Development Project. However, on 18th August 2003, when I was helping at a jumble sale at the Grove Neighbourhood Centre, a participant told me that she had seen him walking in the neighbourhood the previous year. However, I could not get his contact details at that time. I went to college and got a degree and a job. I got married and raised three daughters. One day, a letter came to the door and it said come to a meeting. A lot of people came to the meeting and there was a positive and lively atmosphere. Mason gave a speech, and, I learned about the Neighbourhood Council for the first time. I was impressed with the idea of �ggrass roots.�h He asked people to leave their names on a list if they were interested. So I left my name and then Mason came to my house and asked me if I would like to stand as a candidate and I said �gyes.�h There were two candidates from my street and I was elected and became one of the first Neighbourhood Councillors. She remembered Mason quite well, but she did not know his whereabouts. We did not know whether he was alive or not. There was no clue: I almost gave up looking for him. Just then my friend, who knew about my research, inquired at the headquarters of the Methodist Churches in London. On 1st September, my friend sent me an e-mail saying that Mason�fs address was in Hammersmith, and I rang him immediately. I clumsily introduced myself and when I had explained my research, he kindly offered me an interview. We decided to meet the next morning at his home. I intended to ascertain especially the following three points: Firstly, what was the real purpose in choosing the Grove Ward for the Hammersmith Community Development Project? 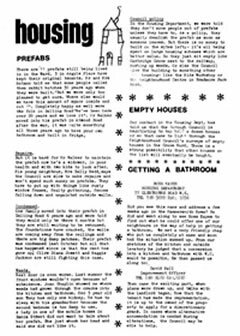 �gThe First Report 1972-73�h accentuates that the Grove Ward was such a �gnormal�h poor area, while other documents describe the Grove Ward as one of the poorest wards in London. Second point: what was the relationship between the Hammersmith Community Development Project (as well as the City Poverty Committee), the Hammersmith Borough, and the Grove Neighbourhood Council. All of them took part in organising the community centre on a different level; a nation wide NPO, local government, and residents organisation. I was eager to ask about the relationship of the three organisations from someone who was involved in the Project. Thirdly, were there any kind of local communities existed in the ward thirty years ago? At the present time, it is difficult to find any community on which the Grove Neighbourhood Centre based its activities. I wondered if the situation was different back then. Notting Hill was a rather easy place to carry out community work because it was known worldwide for crime, race riots and so forth. So when we left Notting Hill, we decided to take the same community work approach in an ordinary neighbourhood. We chose the Grove Ward in Hammersmith as being a typical inner London ward with no particular problems. In 1972 it was a run-of-the-mill neighbourhood. It wasn't rich, it wasn't poor, and it wasn�ft fashionable then. Our purpose was to show that the basic principles of community work are effective wherever you practice them. The Grove Ward actually had no particular problem. But even in a settled neighbourhood, there's a positive benefit in maximizing common interests, for example, traffic speed regulations in the ward. We persuaded others to tackle problems: not dramatic problems but ordinary problems. I mean for example, older people by themselves, so we tried to organise socializing occasions at church halls and organise visiting. Moreover, we worked closely with the housing problems; all the everyday problems which in the past, individuals had to cope with by themselves. But now, the difference is that there is a neighbourhood group that has learnt to help them and has some expertise, and power behind it. So all the problems, they no longer became insoluble, and a sense of identity began to grow in the neighbourhood. It was very important for us to set a community identity especially in London which is such an anonymous city. You need to have a government at street level; local government is still too heavy. What you need is something small and local. For this reason, I believe that Neighbourhood Councils are able to offer a chance for ordinary people to participate in solving small affairs around them. The English Parish Council1 served as a model for the Neighbourhood Council. What we did was to take the idea of the Parish Council and put it in a city context, and called it the Neighbourhood Council. We established very good relationships from the beginning with the local government. We became acquainted with and had a good relationship with the Town Hall, especially with the social-work department. We also cultivated the Borough Councillors, the Town Hall, and we got to know very well the head of the social work department. The department appointed a social worker to the Project and paid her salary. It was a great support that such a brilliant social worker was involved in promoting the Project full time. We had meetings with the Borough Councillors and the Town Hall officials to explain and disseminate the idea of community work. The social work department at the University often seconded students to come and help us. The Community Development Project was the mother of the Neighbourhood Council. The residents did not know about the aims and the idea of the Neighbourhood Council. Therefore we held a large public meeting; we explained the idea and residents asked questions and everyone took part in discussions for two or three hours. We had Notting Hill as a precedent. We explained that what had happened in Notting Hill could be done in the Grove Ward. However, we tried not to be patronizing. We were not the ones to organise; we wanted residents take a leading part in the Council, to be masters in their own house. For the election of the Neighbourhood Council, the Electoral Reform Association seconded an officer to count the votes free of charge. The leaders of the local government also helped the election. In 1973, we elected the first Neighbourhood Council by the old British system; the single member constituency system. We divided the ward into artificial areas and each area elected one councillor. But we discovered the disadvantage of this system. There were often a few good candidates, but only one of them was elected and we would lose other very good candidates. In the next election in 1975, the officer of the Electoral Reform Association suggested a new system of proportional representation. Although it was not common at that time in England, we adopted the single transferable vote that residents number the candidates one to ten according to their preferences. It means that the elected candidates were actually those who had the largest appeal to the whole neighbourhood, so we considered the Grove Ward as a single constituency. Before 1972, the Grove Ward did not mean anything; it was technically an electoral division. People said that they lived in Bradmore Park Road or Glenthone Road but they did not use the word �gthe Grove Ward.�h After the Neighbourhood Council was organised, then the Grove Ward became an identity that was accepted by residents. The City Poverty Committee initiated the idea of the Neighbourhood Council, but the idea was to hand over leadership as quickly as possible to a natural leader who actually lived in the ward. We did all we could do to organise the council, but it was only as a supporting medium. We conducted the Hammersmith Community Development Project only in the Grove Ward, but the basic principle of community work became widely practised. 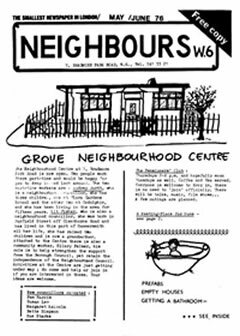 I was away from England for a long time, so I do not know much about the Grove Ward and the Grove Neighbourhood Centre today. But I'm delighted that the Council and Centre still exist. This means the Project and our community work approach have succeeded. The community development which Mason sought was grass-roots activity to create a resident�fs organisation in a small scale. This means that it is an optimal size for a face-to-face relationship in the community, and residents were able to try solving familiar problems. Not depending on the existent community or residents groups, the Project mobilised residents to organise and operate the Neighbourhood Council. Through grass-roots activities, they tried to create a sense of identity in the neighbourhood. These are the characteristics of the community development in urban areas. The population of the Grove Ward in the 1970s was approximately 10,000; the appropriate size for the Neighbourhood Council. The City Poverty Committee chose Grove to practice and diffuse the idea of community development because Grove had a suitable population and �gpoverty�h and �gnormality.�h The Committee consisted of politicians including Members of Parliament, civil servants, scholars, and Ministers of different denominations. It was an organisation of experts in many fields. They were well aware of ongoing national policies; on the other hand, they knew the difficulties of relationship with the local government from the experience of community development. In order to make residents�f opinions reach the level of administration and make these opinions effective, the Committee needed to establish co-operation between local government and residents�f organisations. 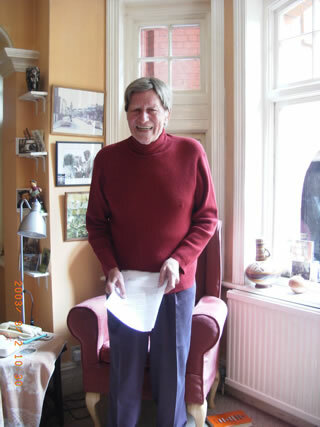 The reports and documents of the Hammersmith Community Development Project, and the interview with David Mason suggested that he and the Committee seemed to have practical considerations as activists, in fostering the idea of community development, and they took account of the relationship with local government. Mason and the members of the Project carefully set up contacts with the local politicians, leaders of Town Hall, parties of different religious groups, and shop owners and so forth during preparation. They also approached residents by individual visits and public meetings. Most importantly, the Project emphasised the need for grass-roots activities with residents as the main body. After the organisation of the Neighbourhood Council, the Project negotiated with the local government, assessed the state of management, and gave financial support and advice to staff. The Project stayed close to the centre but never directly involved it in the activities. Residents found it hard to distinguish the Hammersmith Community Development Project from the Grove Neighbourhood Council. 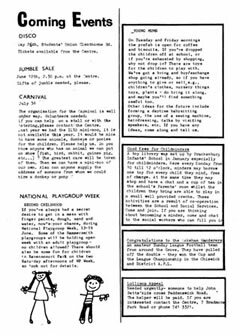 The Project Report 1974/75 draft describes: �gThe Neighbourhood Council and the Hammersmith Community Development Project carry out their activities in the same small area in co-operation with each other, so residents are not aware of what the Project is and who the members are. This situation has both positive and negative aspects. The Project�fs activities were caught in a dilemma in that they were not perceived as an organisation; however, they carried through policy2 as�ga medium not a body.�h3 When the Grove Neighbourhood Council started with support from the local government, the Project ended its activities in the Grove Ward according to plan. The Grove Neighbourhood Centre changed location and made a new start. That current residents and people concerned with the centre cannot remember the Hammersmith Community Development Project is not only due to a high migration rate or death. Moreover, it is not only because people who would remember what happened thirty years ago were long gone, but resulted from the fact that the Project team persuaded residents as a main body of activities. We can find the tracks of community development left by professional activists in the thirty year history of the Grove Centre and in the oblivion of the project. 1 It is part of local governments in Britain. �gOriginally they were established to propagate the Christian faith and supervise churches, but from around the 16th century, their duties became relief of poor people, the upkeep of roads, and maintaining public order. At the end of the 19th century, when the modern municipalities with public elected councils were established, the Parish was modernised by the establishment of an assembly. There are no local government Parish Council in London and almost all other major cites. Takeshita (2000) describes the function of the Parish in detail. 2 Refer Keith-Lucas and Poole (1996, pp. 145-154) and Takeshita (2000, pp. 218-245) for details of the Parish in urban areas. 3 Castells (1997) discusses the importance of the role of organisations formed outside citizens movements in order to bring about urban, social, and cultural changes in the case study of citizens movement in Madrid from the end of the 1960s to the end of the 1970s. (pp.487-507) He calls this role an �goperator�h and remarks the specific characteristics of the political operator in Madrid�fs citizens movements regarding mass media, workers with specialist skills, and left-wing parties. The political operator has an important role in the process of development of citizens�f movements, however, it has to have a certain distance from citizens�f movements to establish their independence and show the leadership to prevent the movement from assimilation and disappearance. The Hammersmith Community Development Project was not a political organisation, however, Mason and parties of the Project were strongly aware of their role as the political operator defined by Castells. Another issue for my future research is the idea of the City Poverty Committee and Mason�fs community development; how this idea was related to the thoughts and practice of other community developments and citizens�f movements of the same period in England or elsewhere in the world.